Welcome to Safety Ireland First Response, Ireland's largest Medical, Safety, Healthcare and Pre-Hospital Training and Supply Company. Listed below is our open course schedule for Dublin for 2019. 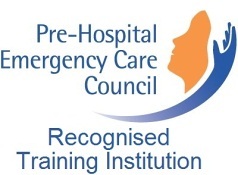 All courses are held in our training centre in Terenure. If you wish to have your own course, we provide training nationwide just contact us. Just contact us and we will arrange an Instructor for your own location. All we need is a room suitable for the group size. This course is also available for bookings on weekends. This course can also be run for your group at our training centre in Terenure, Dublin. This course can be tailored for your group/company own needs. This course is available as an open course for individuals to join, just call us or join our email list for updates of new courses and check our schedule page for details of our next open course. If you require this course urgently for work or safety audit, we can arrange this course at any time and in any location. This is possible even if it's just for one person. Just contact us for a quote. Places on the course are provided on a first come basis. If a course is full additional courses may be scheduled if there is adequate demand. Safety Ireland will at all times ensure equality in our service provision. We therefore ask any learner that has specific learning requirements to contact our office on 01-44 22 999 or at the time of booking the training and we will ensure that all possible measures are taken to meet requirements. English is the language that the training is provided in and participants must have a good understanding of the English language. If participants prefer they are welcome to bring along an interpreter; however prior notice must be given to Safety Ireland First Response. Join our email list for the best and fastest way to receive details of courses that we have coming up. You can order all your First Aid supplies direct from us and have it delivered direct to your door. 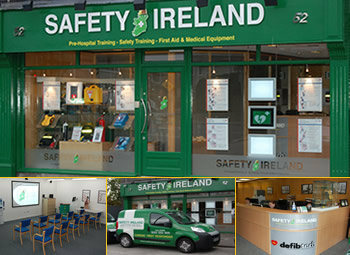 Address: Safety Ireland First Response Limited, Unit 52 Fortfield Park, Terenure, Dublin, D6W PW14, Ireland.